In this video, Rod Giltaca talks about Canada’s Magazine Capacity Regulations and the implications on the legal firearms owners in Canada. reas has been added in bold. For the complete regulations, click here. How to make a standard capacity magazine legal? 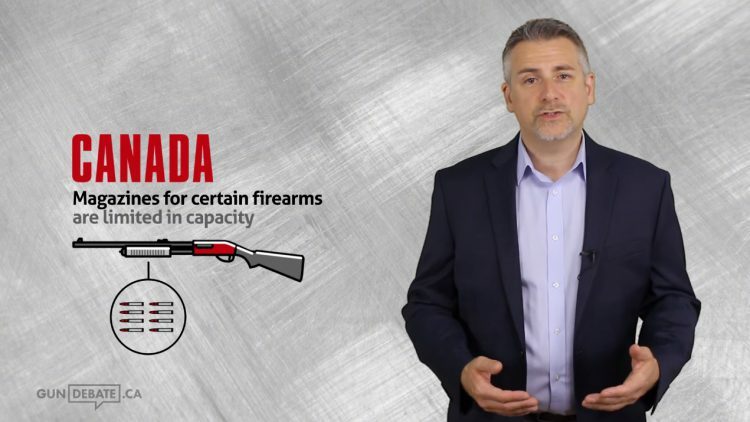 In Canada, the vast majority of firearm magazines are limited to legal capacity by using a simple rivet. It’s a cost effective solution for legal businesses, importers, and distributors, however, it is not the most “robust” method and a broken rivet can have serious legal consequences for a legal firearms owner. The same regulations that are mentioned above describe what is an acceptable way to limit a magazine’s capacity. The applicable section has been pasted below. For the full text, click here. Can Criminals really 3D print a magazine?